Willow is the younger sister of Wanita and has never resided at Auckland Zoo. She is the last of her family remaining at Taronga Zoo. There are plans for her and a hybrid male to be transferred to Orana Wildlife Park, New Zealand, in 2016. Wendy has never resided at Auckland Zoo. However, she was the mother of current Auckland Zoo resident Wanita. In her lifetime, she gave birth to three other offspring; the youngest being Willow, born on the 9th of May 1985. Helen was born in 1949. 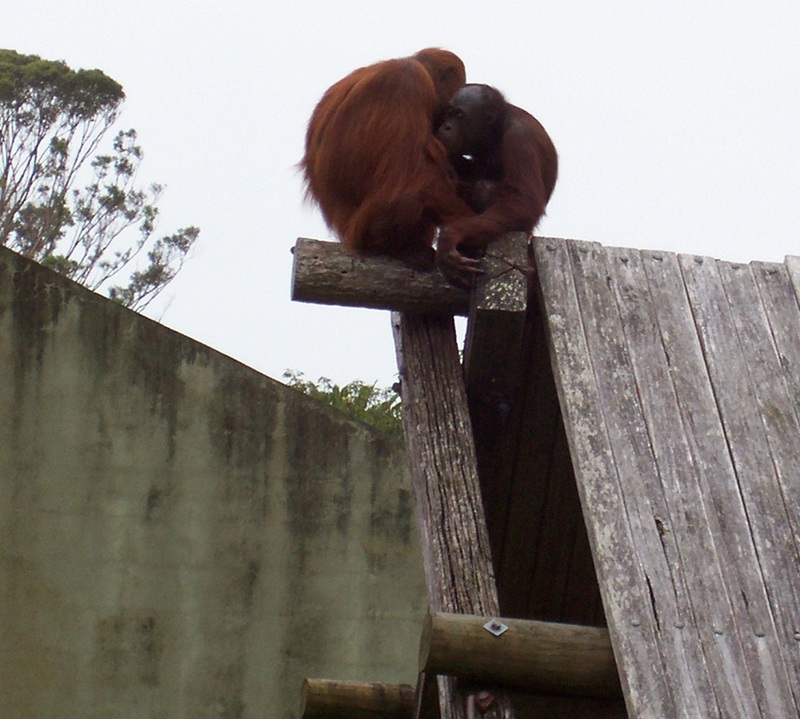 She has never resided at Auckland Zoo, however was the ‘grandmother’ of current Auckland Zoo resident orangutan Wanita. Helen was transferred to Taronga Zoo, Australia, in 1956 and died in 1970. Turvey was born in the wild around the year 1954. He arrived at Auckland Zoo on the 11th of December in 1956. Topsy was born in the wild around the year 1954. She arrived at Auckland Zoo on the 11th of December in 1956. She gave birth to a stillborn baby on 29 May 1967. Topsy was originally imported to Taronga Zoo, Australia, along with Turvey and three other orangutans; a male, Charlie; and two females, Helen and Leslie. Madju was born at Auckland Zoo. He is currently the youngest orangutan in New Zealand. Madju enjoys playing in boxes, and also learning new things as he is getting more independent and mature as he grows. In December 2015, Madju will be transferred to Busch Gardens in Florida, USA.